The ICASP project is featured on the Research Matters website, a major new campaign recently launched by the Council of Ontario Universities. 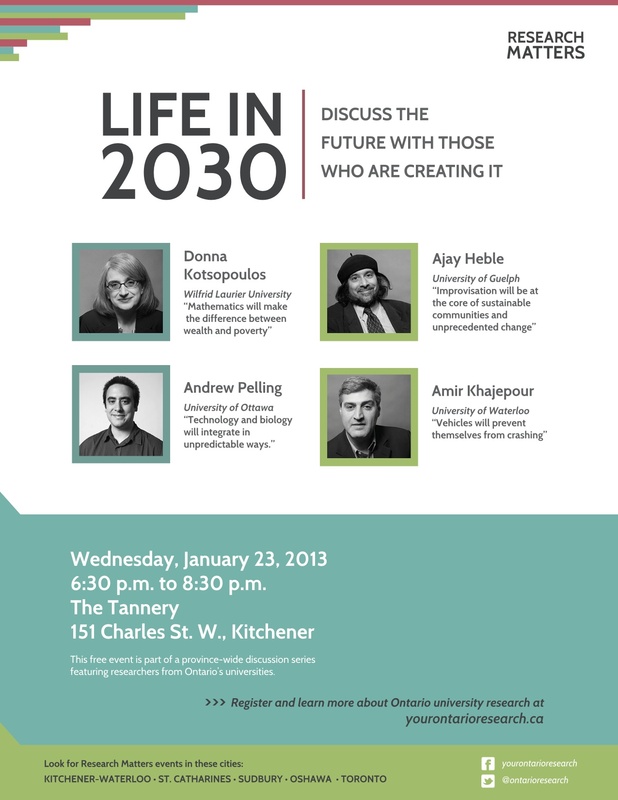 Each Ontario University was asked to nominate major research projects or activities to be profiled. ICASP was chosen as the project to highlight from The University of Guelph. Yet again, the ICASP project is commended and highlighted for its ability to use improvised music to help transform people and build communities. ICASP is pleased to announce that Rachel Shoup joins our staff team as an Administrative Assistant, starting in January 2013. Many of you will already know Rachel from her extraordinary work for the project as an undergraduate research assistant over the last several years. She now joins us as a staff member. Please join us in welcoming Rachel to our staff team. Dave Brubeck, the jazz pianist, composer and bandleader behind the legendary Dave Brubeck Quartet, passed away at the age 91 on December 5th 2012. 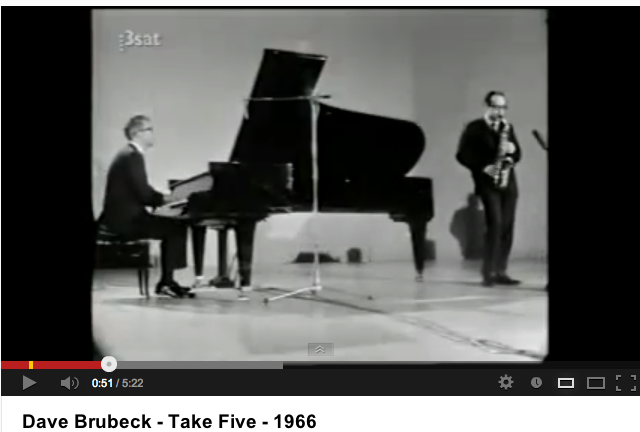 The well-known jazz standard “Take Five” (composed by Paul Desmond), from Brubeck’s seminal Time Out, is the bestselling jazz single of all time. Another great loss for music, Pandit Ravi Shankar, whose life traversed nearly a century, passed away on December 11th 2012. He was 92. 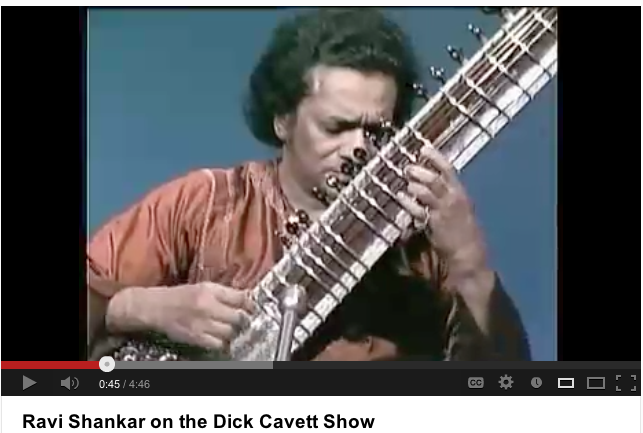 Both artists lived long and rich lives, using music to transcend trends and cultural barriers. Their talented children and a host of listeners and musicians, who they inspired over their fruitful careers, survive them. Improvisation is one of the responses to transcultural liminality in the contact zones of diasporic and transnational cultures. Through adaptation, appropriation, and sampling materials, backgrounds, and techniques, earlier repositories and the local present are combined to produce new effects and performance. Dr. Siemerling, University of Waterloo, ICASP Research Collaborator, has recently completed an edited collection entitled Canada and Its Americas: Transnational Navigations. 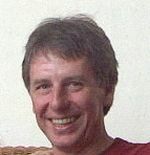 He has published over thirty-five articles and book chapters on cultural difference, multiculturalism, and transculturalism, on the innovative capacities of artistic production to create uncharted possibilities and new hopes, and on the nexus between social and aesthetic practices and structures. Dr. Siemerling holds a PhD and master’s in comparative literature (University of Toronto) and a master’s in English and Romance languages (Albert-Ludwigs-Universität Freiburg). 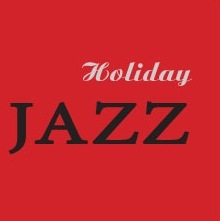 This month’s featured Artist profile is actually a diverse mix of jazzy Christmas/Holiday songs. 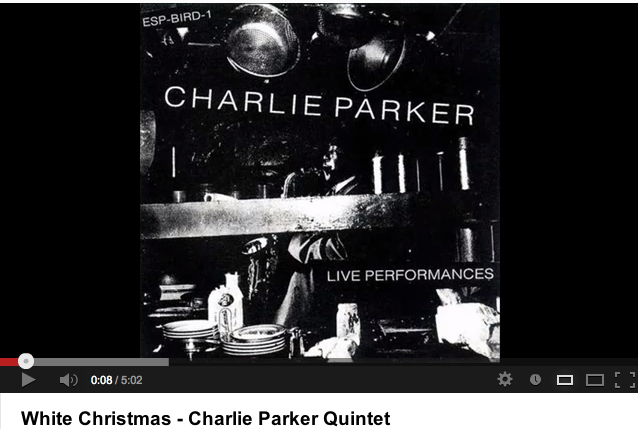 So, in the spirit of the holidays, whatever that may encompass for you, have a listen (and space out on planetary snowflakes) as ICASP, Ra, Parker, Brubeck, Monk, Evans, and Coltrane, wish you all the best now and in the New Year ahead! The first song is an incredibly rare record by Sun Ra—like all of Sun Ra’s original records are. The Qualities appear on this record as an unidentified male quartet with Sun Ra on the harmonium. There are also unidentified players playing ad hoc bells and wood blocks. 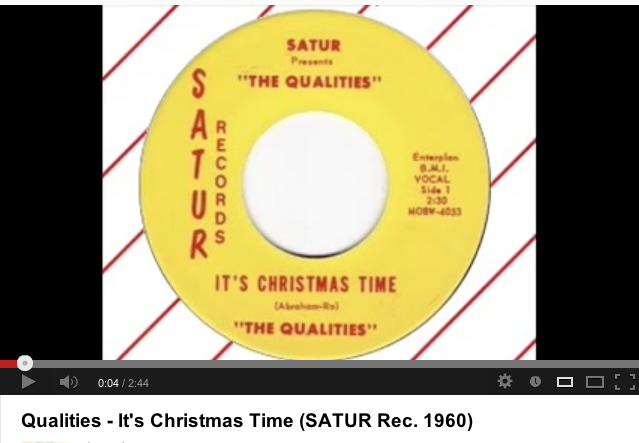 Both “Happy New Year to You!” and “It’s Christmas Time” appear on this 1956 45rpm single, produced by Sun Ra and Alton Abraham. 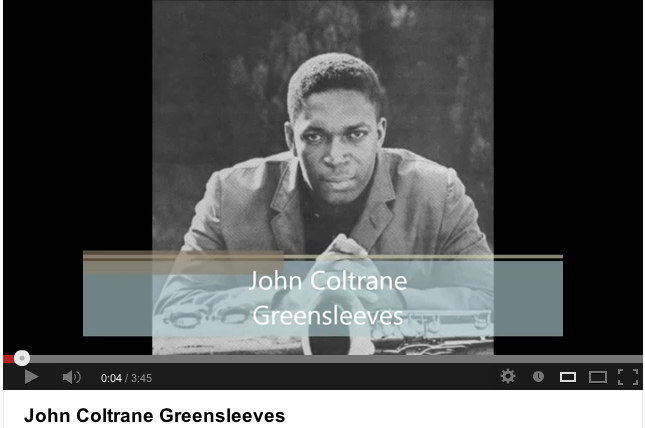 Alton Abraham stated that this single was made around a year or so later than the Cosmic Rays recordings and John Gilmore (an American jazz tenor saxophone player best-known for his long tenure as a member of Sun Ra's Arkestra) believes it to be from a rehearsal (held apart from the Arkestra rehearsals) because of the extemporaneous instrumentation. 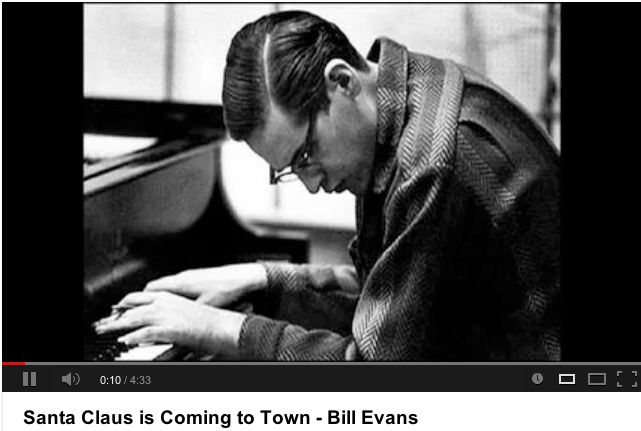 Bill Evans playing “Santa Claus Is Coming To Town.” And have a listen to the exciting version by Elvin Jones. 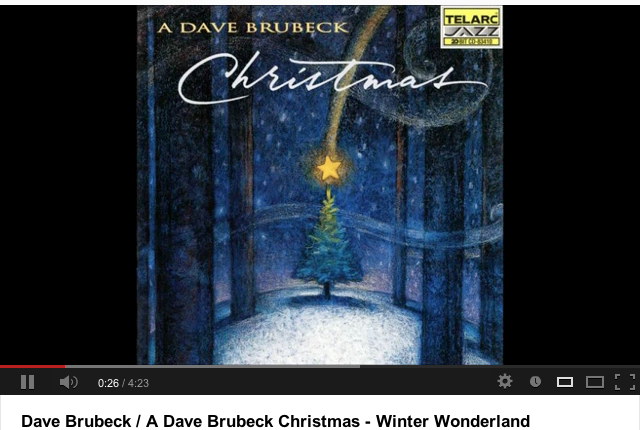 And check out a rendition of Monk’s “A Merrier Christmas” by Ryan Burns on a wurlitzer 206a electric piano. The original composition by Thelonious Monk was never actually recorded by Monk, but was featured on a Blue Note Christmas compilation called “Yule Struttin’” with two versions of the song: Benny Green (solo piano) and Dianne Reeves (vocal version). 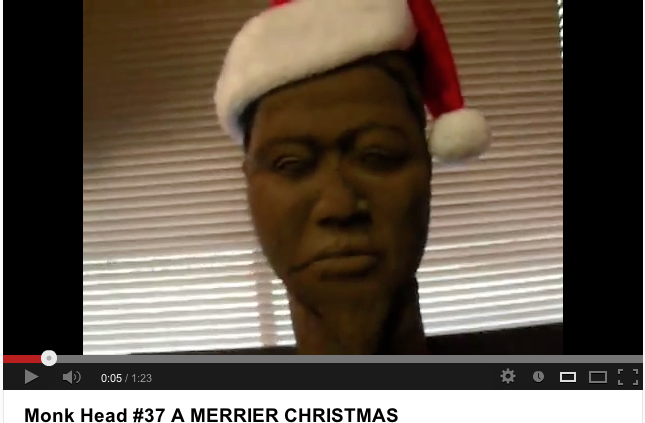 End of the world got you down? No need to fret (ouch), g.r.e.g.’s got you covered. Their mandate is to explore the electric guitar’s experimental possibilities while embracing its venerable history as a loud device of sonic disruption. Focusing on ensemble pieces, they have a budding repertoire of compositions (by Cage, Tenney, Chatham, Riley, and members of the ensemble), as well as structured improvisations. g.r.e.g is composed of an eclectic blend of musicians of various backgrounds, all with a deep interest in experimentation, improvisation, and local beers. Guitarmageddon will feature a variety of new pieces by g.r.e.g. members and others with guest drummer Andrew Henry.